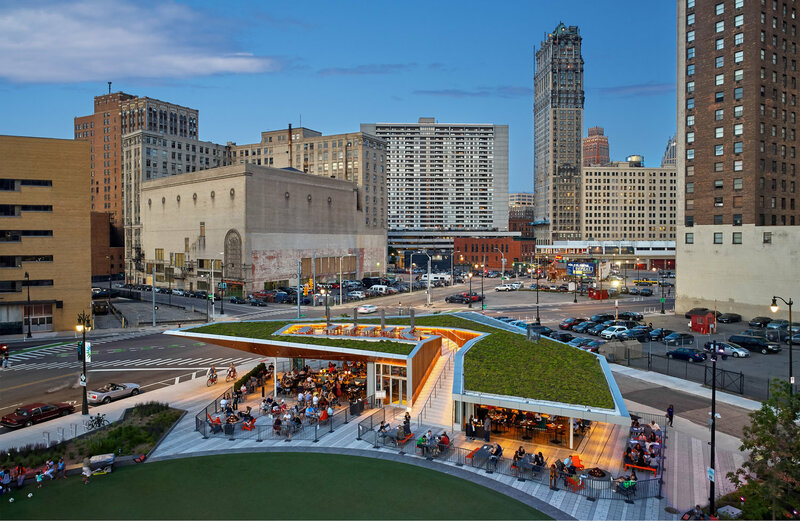 Beacon Park, Detroit’s newest public park opened in July 2017, offers programmed activities 365-days a year. 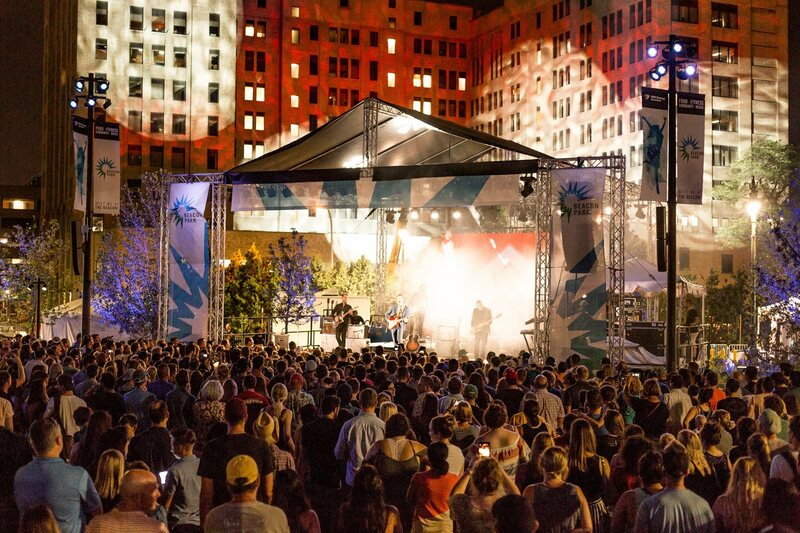 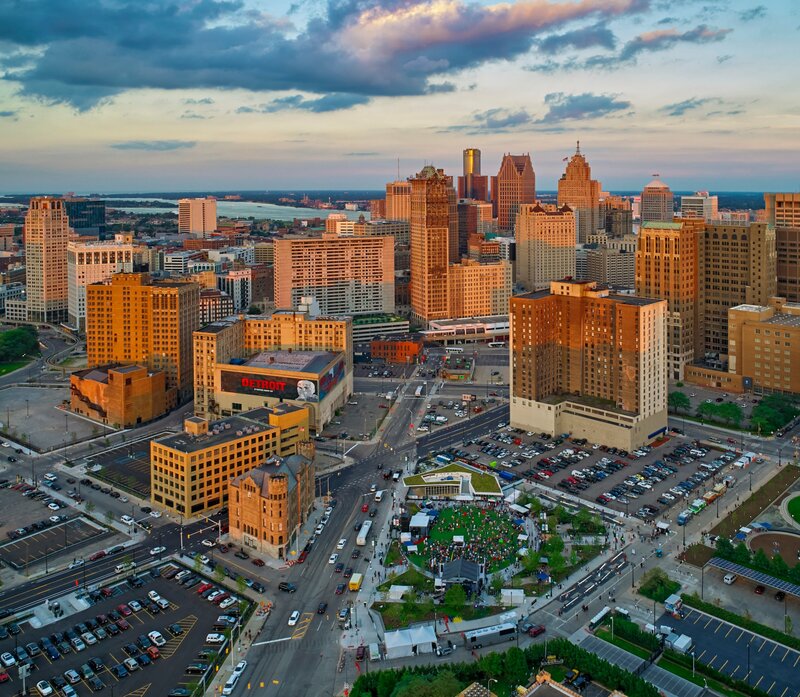 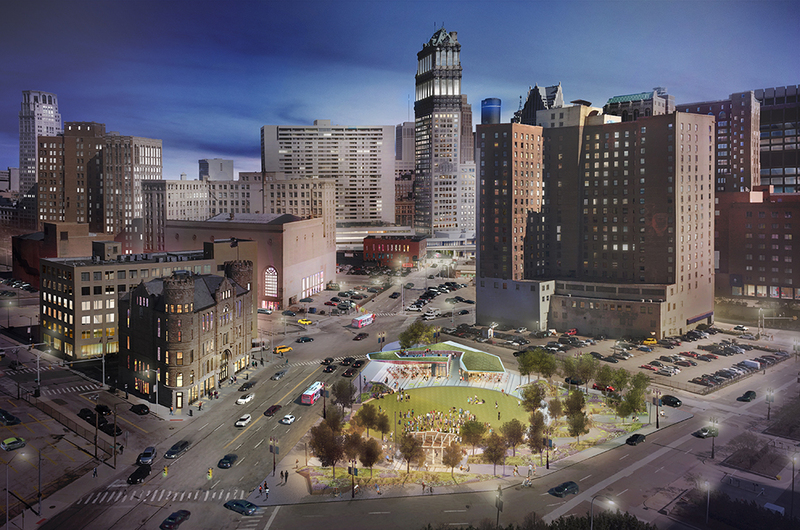 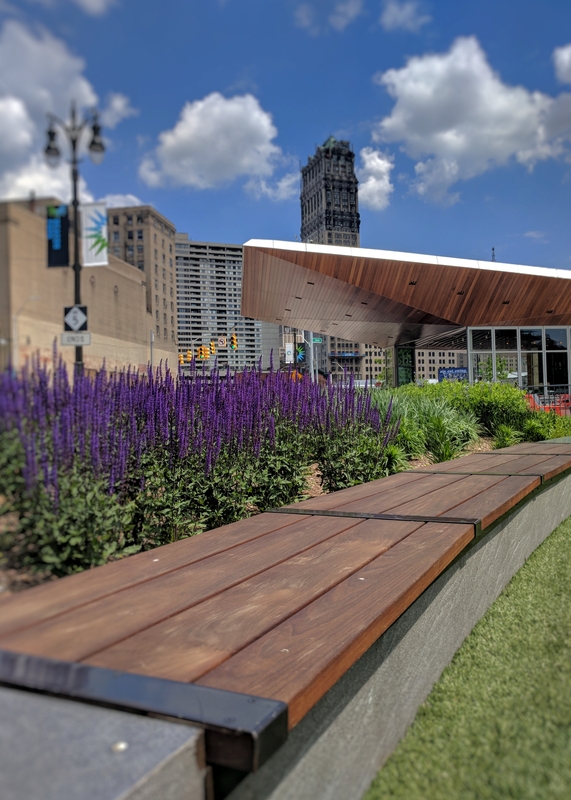 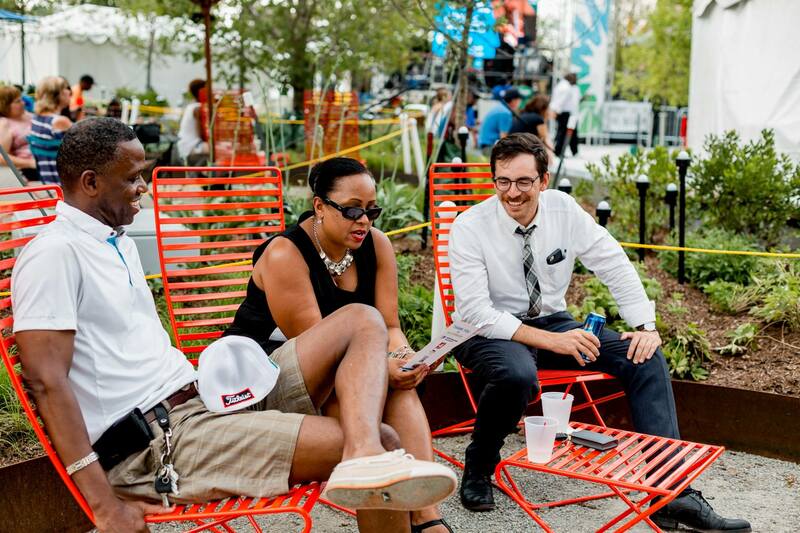 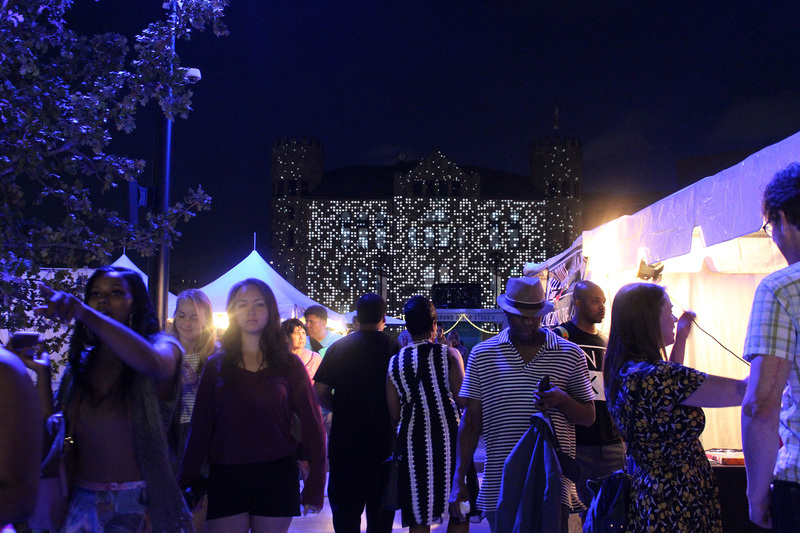 This once vacant lot, reimagined by DTE Energy and operated by The Downtown Detroit Partnership with support and input from the City of Detroit, now connects people both literally and figuratively. 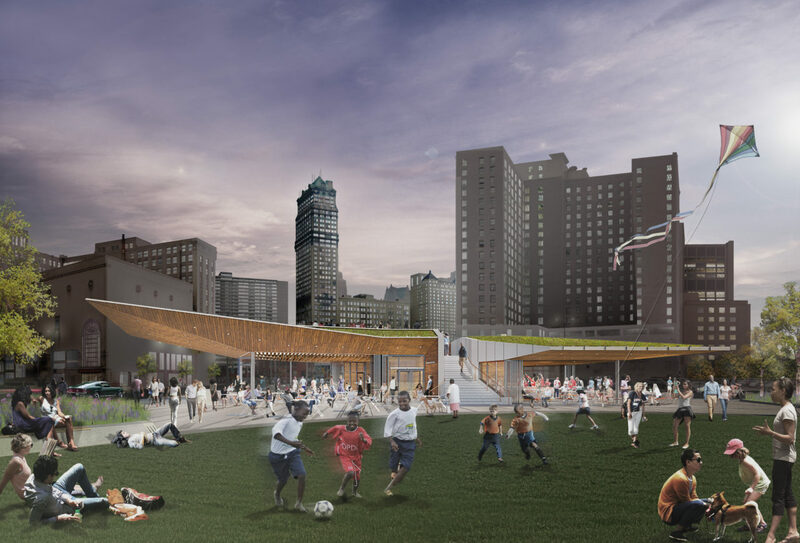 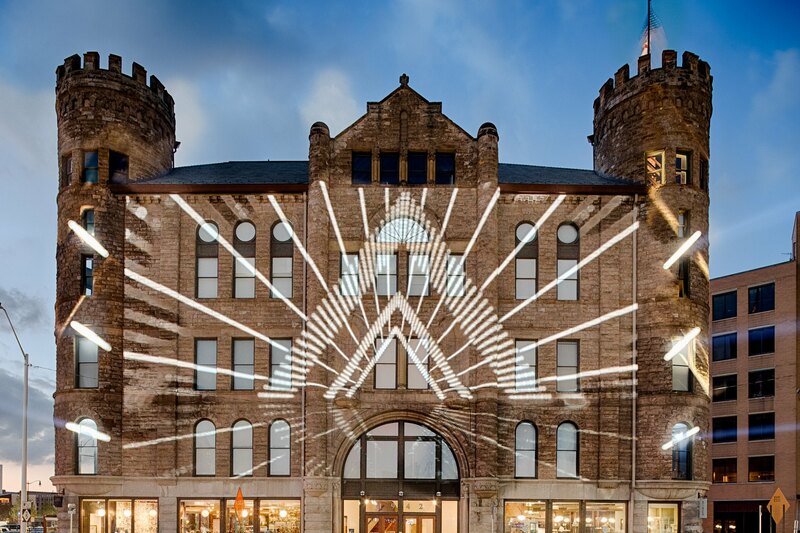 This urban revitalization project anchors the emerging district, spurs economic growth within the neighborhood, and provides a high-quality space for the community to mix and mingle. 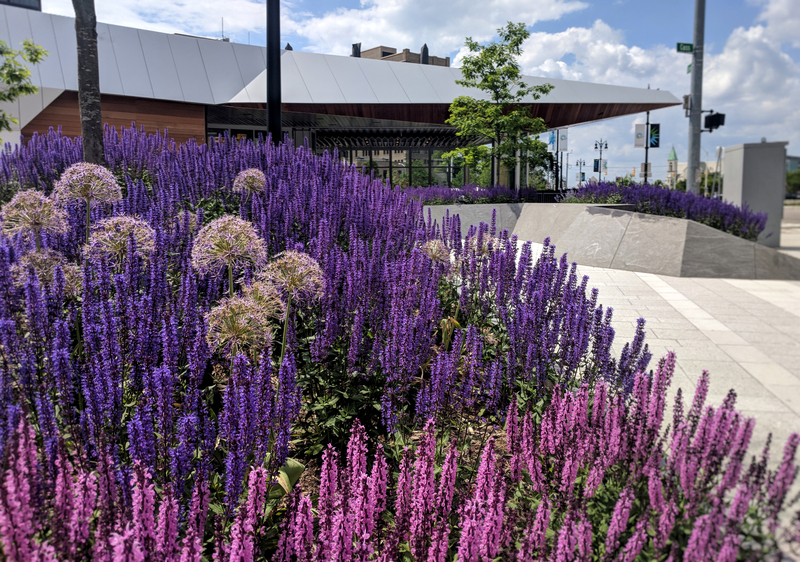 The 1.2-acre park infuses light, energy, and motion by connecting a network of interactive lighting innovations within a distinctive gathering place — an unforgettable experience for visitors of all ages. 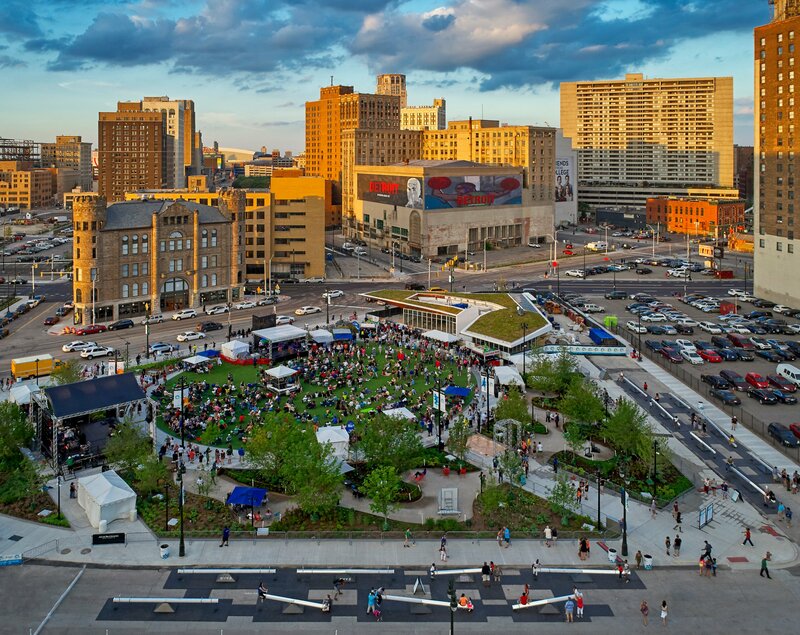 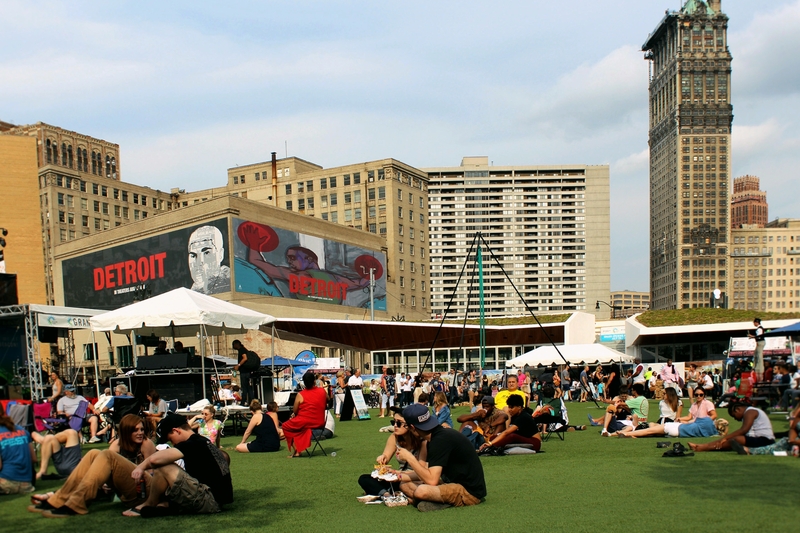 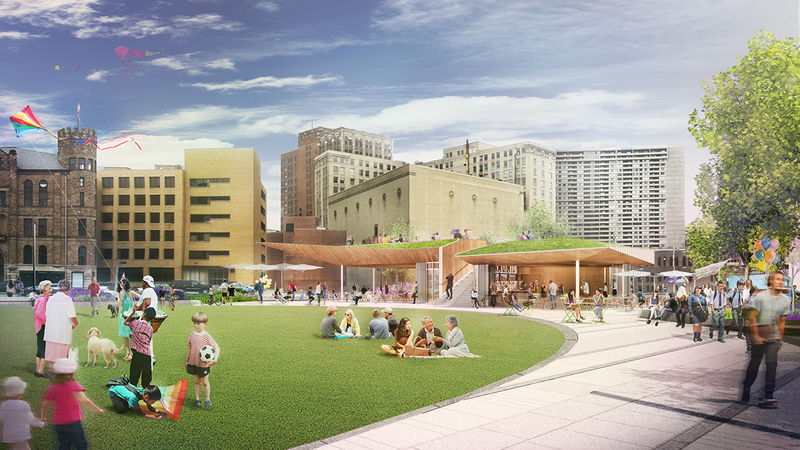 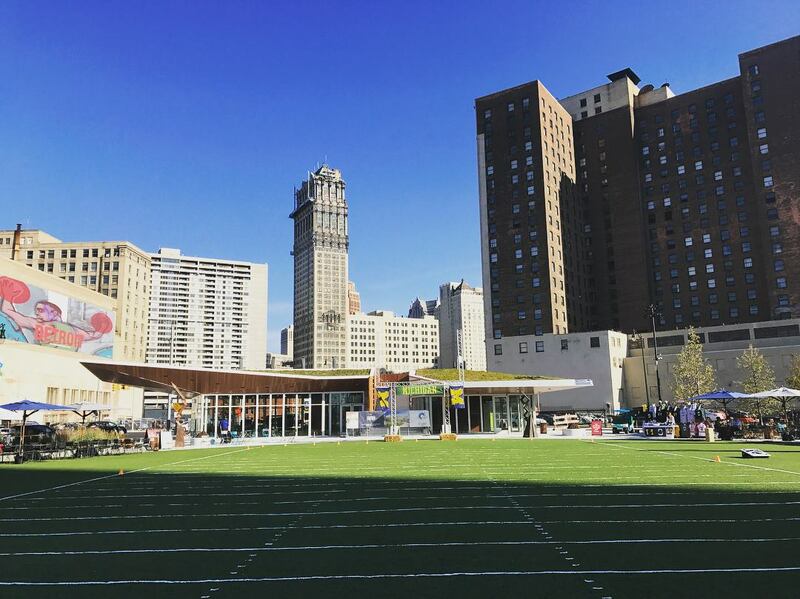 The circular, open lawn is the largest of any downtown Detroit park and gives visitors room to run, play, relax, and recharge. 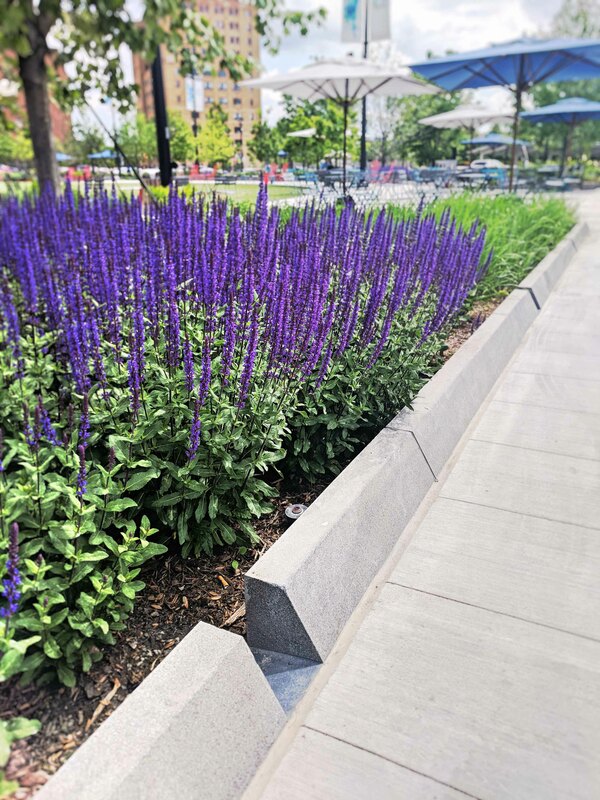 Thoughtful measures for sustainability include porous pavers, rain gardens, LED fixtures, recycled materials, a green roof, and high efficiency HVAC equipment. 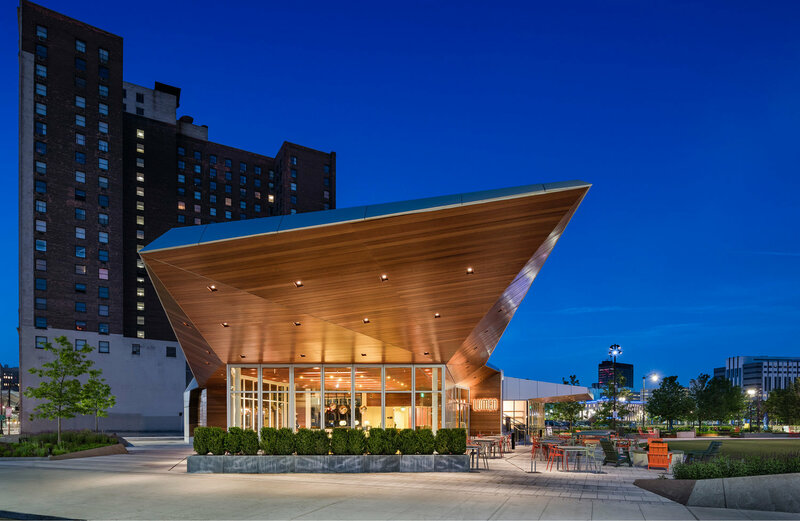 The park is home to Lumen, a full-service restaurant and bar offering al fresco dining. 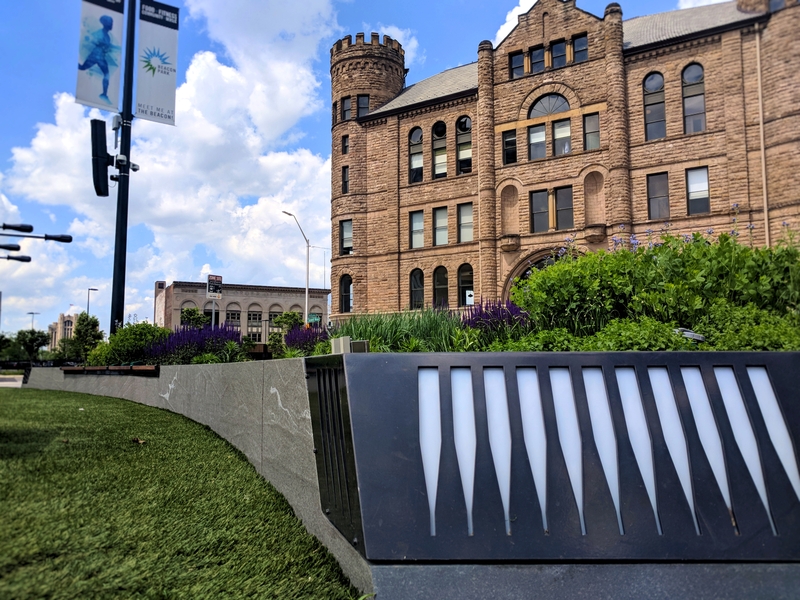 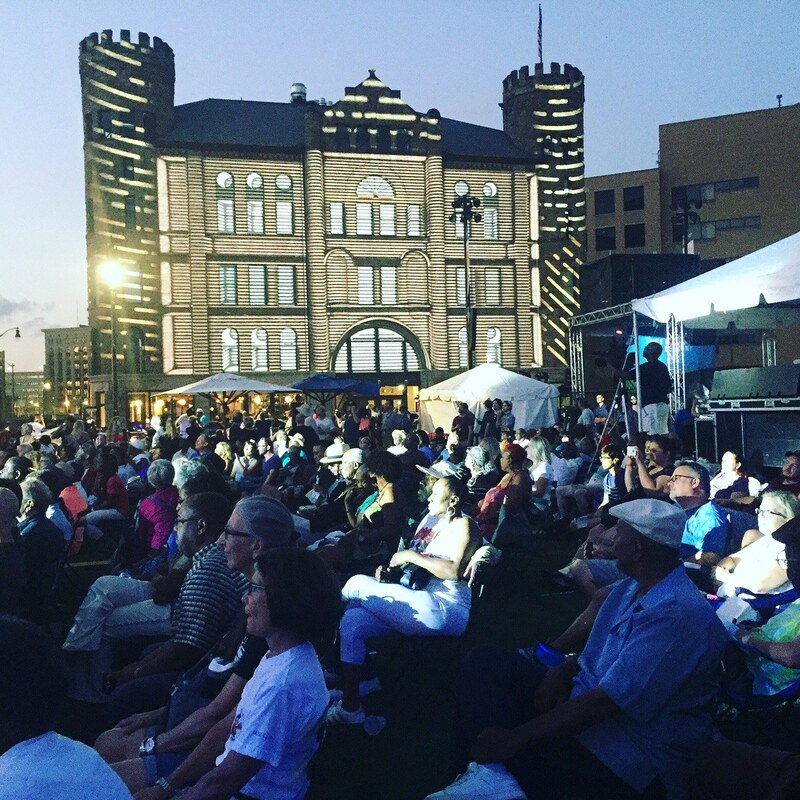 Whether dining at Lumen, viewing the city skyline, listening to a concert, playing volleyball, grabbing lunch at the food truck plaza, watching the New Year’s Eve Ball Drop, or merely sitting in the quiet pockets of gardens, Beacon Park has lived up to its namesake and has become a true beacon for the community.